I make a lot of cards every year, and every year my husband gets one of the cards I made for a newsletter issue or a CD. Although I am still making them by hand, I always feel guilty about them because I feel that I am not making them for him in a personal way. This year, I made him his "own" card! It does use a technique, of course -- the background is the Zagged Newsprint technique from the Stampin' Companion CD. 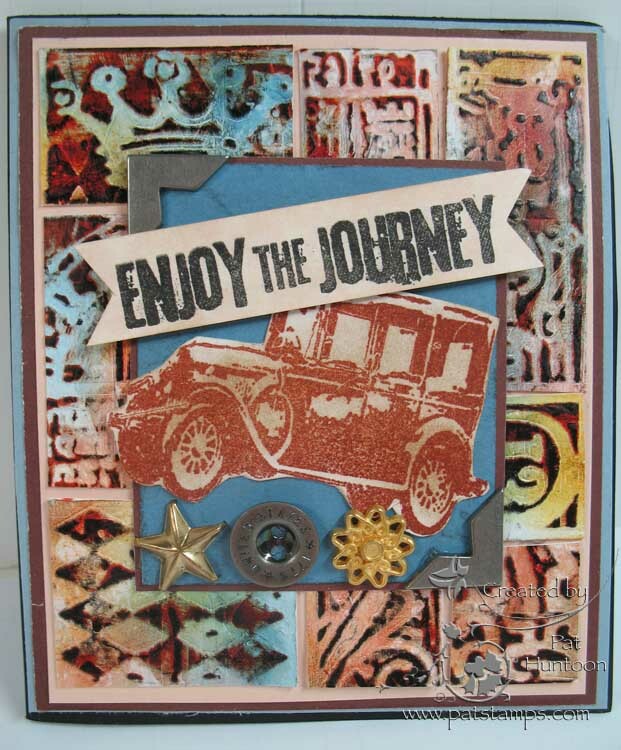 The CD is only 17.95 for 70 tutorials using all Stampin' Up! products in step-by-step, pictorial format in pdf format -- a bargain! You can see the complete list of tutorials and Order the CD HERE. Just select the Stampin' Companion CD from the pull-down menu of CDs. 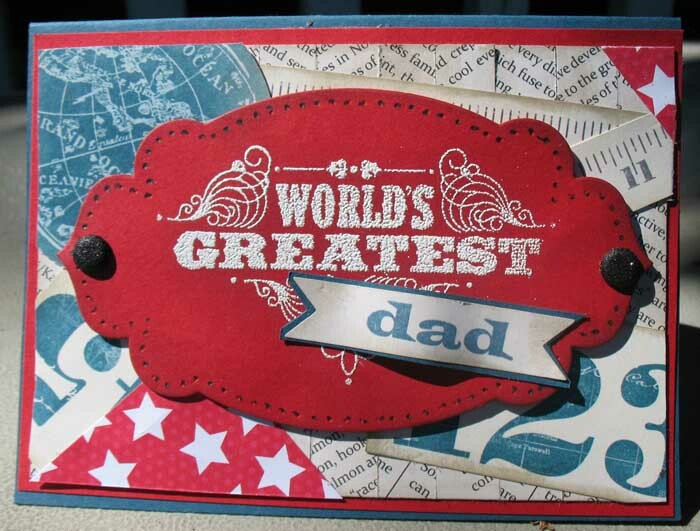 Hope you had a great Father's Day! Ever make something, then can't decide whether you like it? That's how I feel about this card. It uses the Chalk Emboss Technique (originally from Shelly Hickox) from the December 2011 issue of the Technique Junkie Newsletter. I cut apart the embossing folder and re-layered it on the peach cardstock; the original solid piece was just too much to use as a whole. 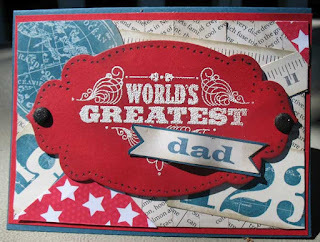 Stamps are from the Tim Holtz line. What do you think? Chic or Bleak? We are safely back from our exhibit booh at the Rubber Stamp Show in West Springfield MA. Jane Bosi and I had a great time, and it was fun to meet so many of you at the show. Thank you for coming up and introducing yourself. It is great to put a face to a name! We met many new people, too. 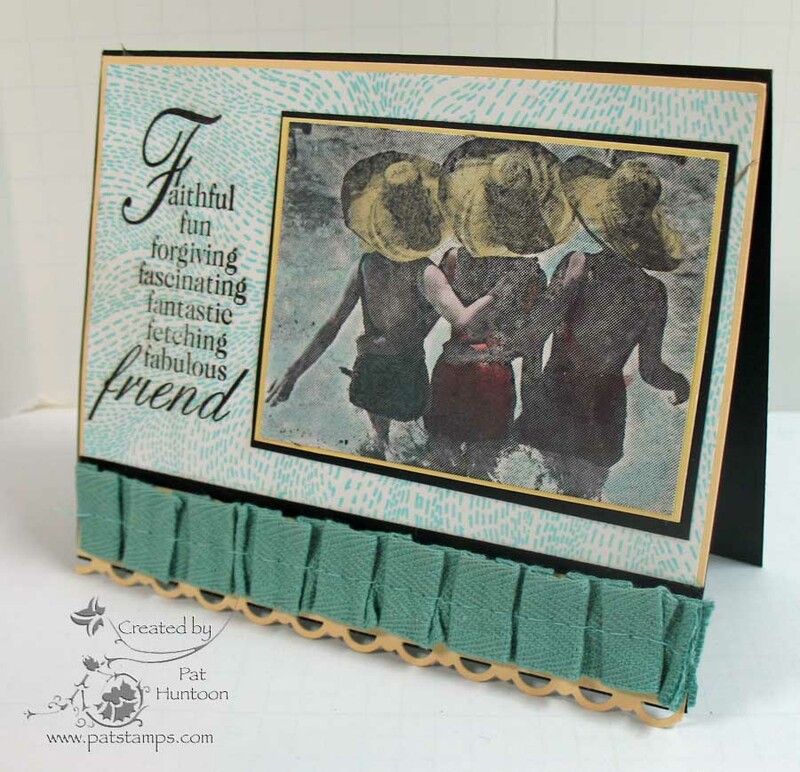 I will be posting the make and take cards we did at the show later this week, but in the mean time, I thought I would post a card that you haven't seen yet. 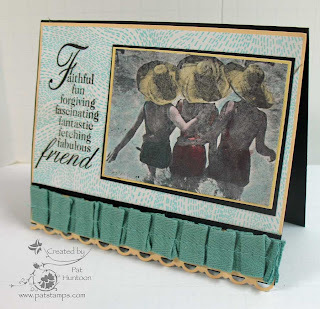 My card uses a photo stamp from Stampsmith and is colored using the Distress Photo Tinting Technique from the February 2012 issue of the Technique Junkie Newsletter. 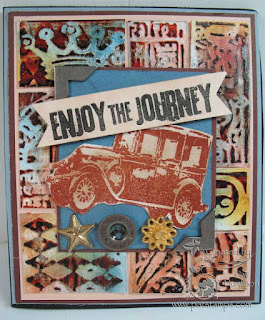 The background stamp and the sentiment are all from Impression Obsession. Remember, if you use the code TJ at checkout, you will receive 10% off your IO purchase (and who can resist those stamps!). It appears that we may be adding more shows to our schedule this year, and attending more next. We would love to meet you at a show -- if you go to a show, leave me a message about which one (s) you attend! I would really like to hear from you.